Now that the weather is FINALLY starting to get it’s act together (I mean really… snow in April!? Not cool.) the farmers markets are starting to pop up around town. If you have a farmers market near you and you haven’t stopped by, I highly recommend it. Fresh local produce is amazing, not to mention you are supporting local farmers in the process. 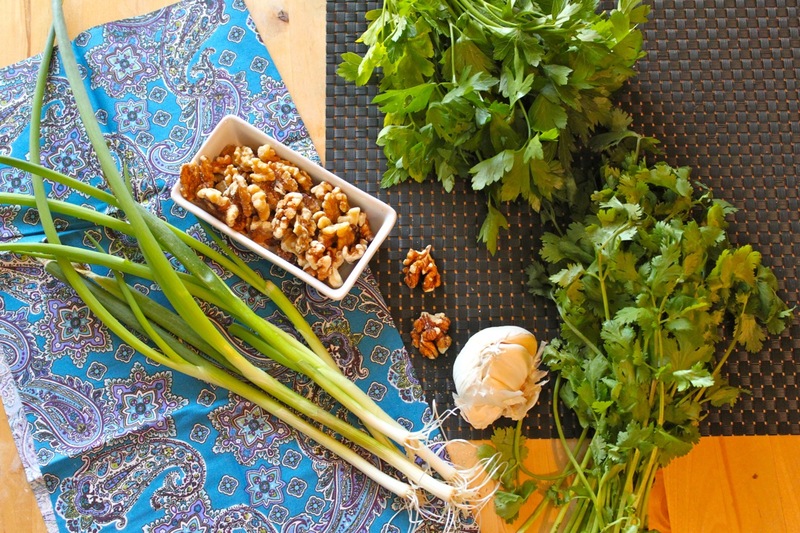 Having fresh herbs on hand is a great way to brighten up a dish. However, sometimes it’s hard to find small bunches of herbs at the market or in the grocery store. I never need a WHOLE bunch of parsley for a dish, just a handful. These two pestos are a great way to use up leftover herbs so they don’t go to waste. 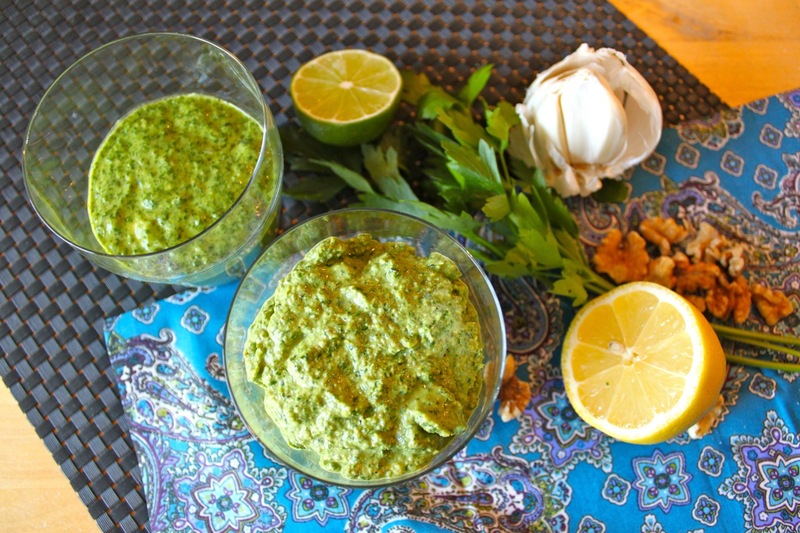 When you mention pesto, basil automatically comes to mind. 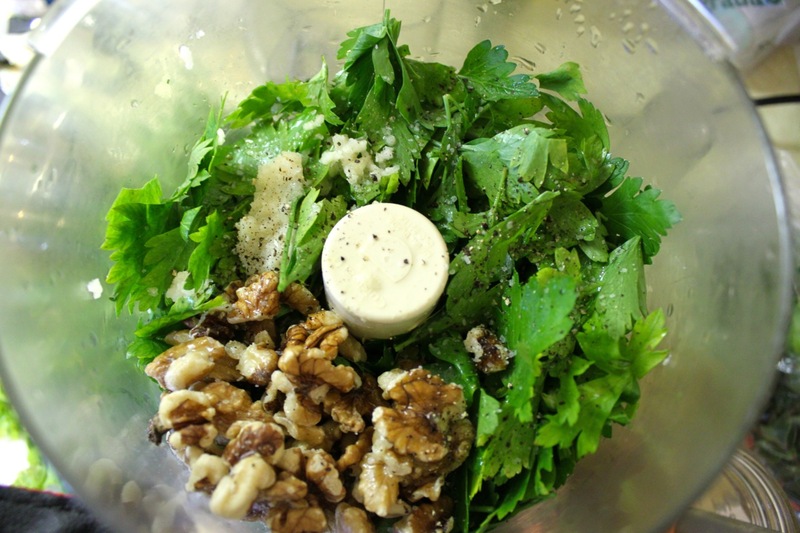 However, a pesto can be made with a variety of herbs. Since basil can be sad looking and expensive out of season, parsley and cilantro are perfect stand-ins. Categories: easy, main dish, savory, seasoning, vegetarian | Tags: easy, herbs, pesto, vegetarian | Permalink.